Home Tiling Advice What tools do I need for tiling? In order to complete a tiling project efficiently you must ensure you have all the tools you will need to hand; otherwise you may not be able to complete the job to the highest possible standard. You may already own some of the tools required to finish the task, such as a spirit level, tape measure, sponges and cloths. It is advisable to also wear protective clothing and protective eye wear, such as safety goggles in order to avoid accidents. 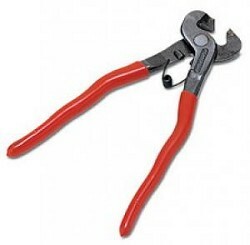 Tile nippers are a top quality tool designed for making small incisions within tiles. They are available for different types of materials and are ideal for trimming around corners and cutting the edges of tiles. Tile spacers are an essential item for fixing your new tiles, creating an equal space between each tile, allowing for an even, measured finish. Mosaic fixing mesh is available for mosaic tiles. 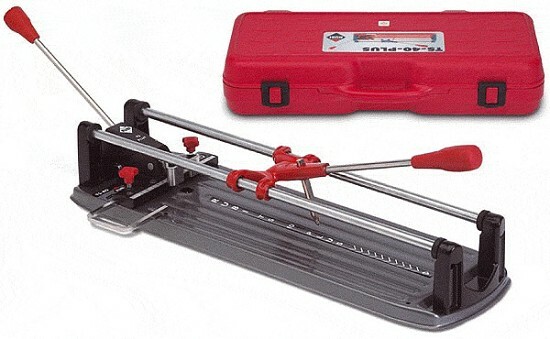 Tile cutters are ideal for shaping your chosen wall or floor tiles. This manual option allows you to save energy whilst customising tiles to fit the space. Find options available for a number of different tile thicknesses and lengths. With handy carry cases you can use your tile cutter time and time again for a variety of different tiling projects. To create stable, waterproof substrates before tiling choose tile backer board. The board is compatible with underfloor heating and is great for wet rooms and showers. 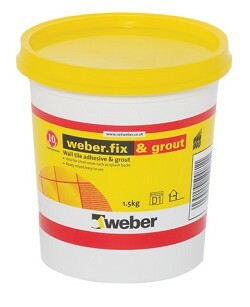 Tile fixings are essential for any tiling project and choosing the correct tiling adhesive and grout is important. Find adhesives suited to a variety of materials and environments and a range of tiling grouts that are available in a number of colours so you can fully customise the look and feel of the tiled surface. In order to apply the adhesive you will require a tiling trowel or jagged trowel, available in different sizes to suit requirements. A scoring knife can also be a great tool to have for tiling, especially if you are looking to install tile backer board. Other items might be required but this depends upon the tiling project specifically. We have a range of tiling tools and accessories to fulfil all tiling needs and a selection of tile fixing products too, to help make your next tiling job as stress free as possible. All you need to do now is choose from our range of stunning tiles, available in an assortment of materials and finishes, with designs and colours to suit all tastes.